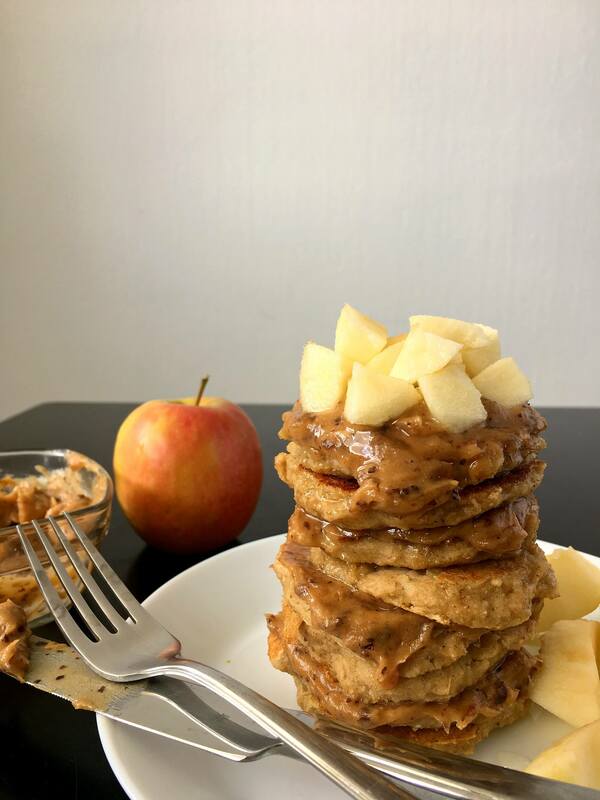 These vegan and clean eating Apple Oat Pancakes with “caramel” are super delicious. They are the perfect healthy and filling breakfast you need to start your morning the best way possible. I’ve been a long fan of banana pancakes, but recently I’ve found myself being bored with it. Also, bananas do contain a bit more sugar and less nutrition than other fruits, so I decided to look into other options to make my breakfast pancakes with. Don’t get me wrong, bananas are great. It’s just that I try to look for the most bang for my buck, usually. And I found that apples are the total winners. Apples are super cheap, you can get them all year around and they are super nutritious. Not as much as berries, though, but poor berries are only available for me in the summer, so… an apple a day it is! Creating clean eating versions of my favorite food is one my of my hobbies, so my love for oat flour pancakes is never changing. Luckily, apples are almost as sweet as bananas, so they are perfect to sweeten the pancakes. And what goes best with pancakes and apples? Caramel, of course. But not just any caramel. Clean eating, protein-rich caramel! Whaaaaaaaat? 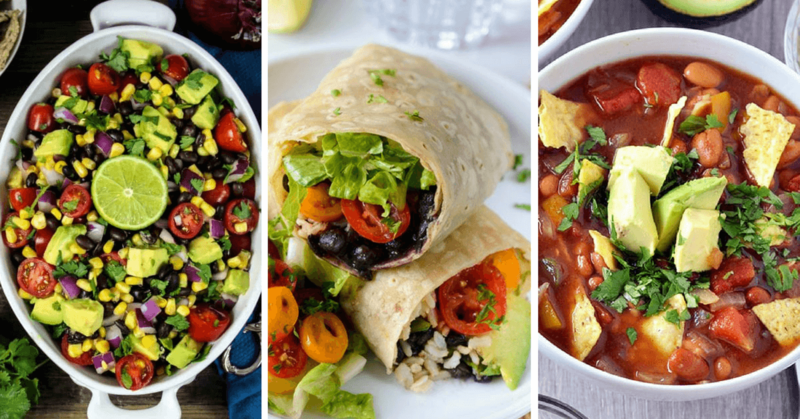 Isn’t plant-based food the absolute best? It is. When I first created this recipe, I almost started jumping up and down from happiness. 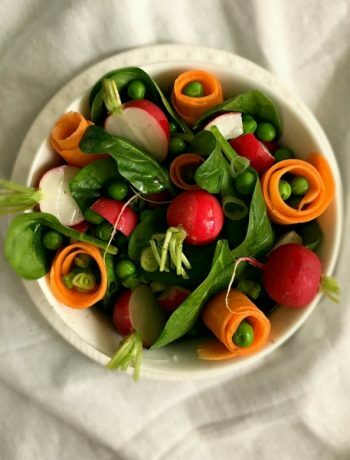 Yes, healthy food makes me super-duper happy. Also, I highly recommend putting a few fresh apple chunks on top of your pancakes, because they provide a really crispy and juicy addition. And that’s always nice. 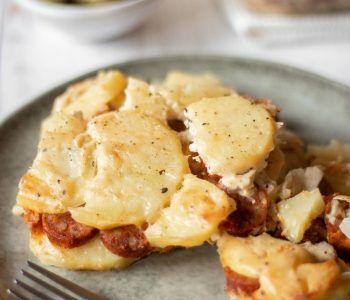 I’m sure there are a lot of people who could make this recipe really super beautiful, I just can’t. My pancakes always come out ugly, but at least super delicious. P.S. : The batter is quite thick after you’ve let it rest for 5 minutes, but that’s perfectly fine. The pancakes will be just as soft and fluffy. You can find the recipe for the date peanut butter caramel here. 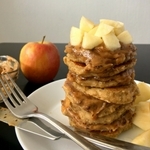 These vegan and clean eating Apple Oat Pancakes with "caramel" are super delicious. They are the perfect healthy and filling breakfast you need to start your morning the best way possible. Put all the ingredients (except the small apple) in a blender. Let the pancake batter thicken for 5 minutes. Heat 1 tablespoon of oil on low heat in a medium pan. Spoon the pancake batter in tiny circles on the pan. Cook for 1-2 minutes on one side, then flip. If needed, add more oil. When all the pancakes are cooked, spread the date caramel (recipe link is in the article) on them and place the chopped apple on top. If needed, drizzle agave syrup on and enjoy! Here is the recipe for the date-caramel. The amount in the recipe yield 2 servings. 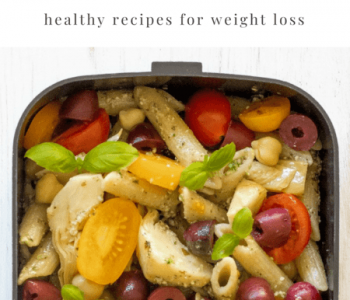 If you are making this for yourself, I recommend you only use half of everything. 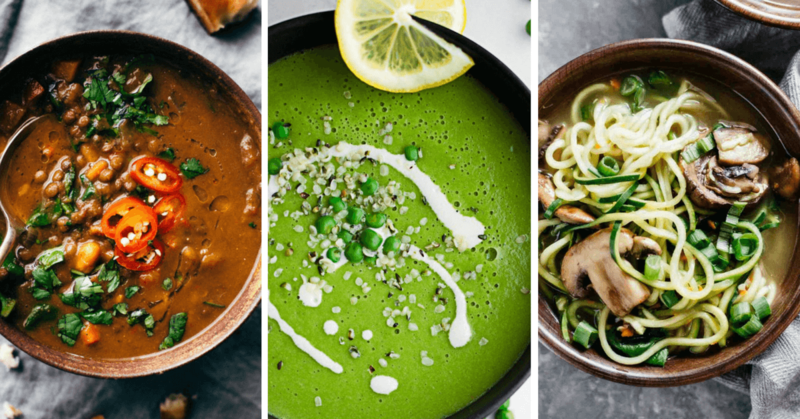 Subscribe to my Newsletter to get my FREE e-book with exclusive recipes!